This study, commissioned by the European Parliament’s Policy Department for Citizens’ Rights and Constitutional Affairs at the request of the PETI Committee, aims to update the 2016 study “Fit for purpose? 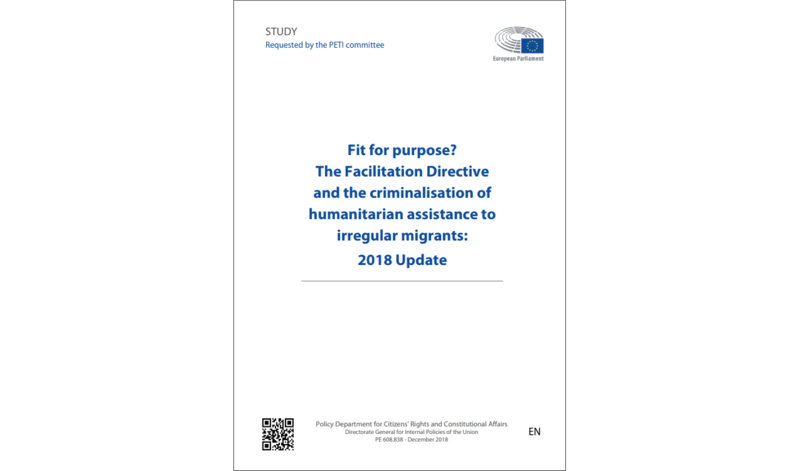 The Facilitation Directive and the criminalisation of humanitarian assistance to irregular migrants”. It takes stock of and examines the latest developments that have taken place since 2016, specifically the legislative and policy changes, along with various forms and cases of criminalisation of humanitarian actors, migrants’ family members and basic service providers. ← Previous Previous post: What is the Global Compact for Migration and why are countries opposing it?